Countryside drive from Kathmandu / Dhunche and Sundarijal / Kathmandu. Visit Buddhist Monastery and famous Hindu Holy lake Gosaikunda. 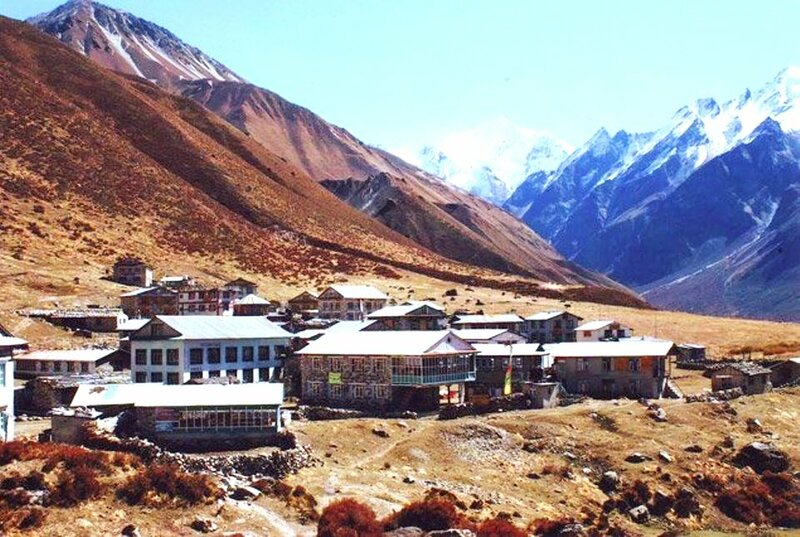 Scenic views of Langtang, Ganesh and Dorje Lakpa. 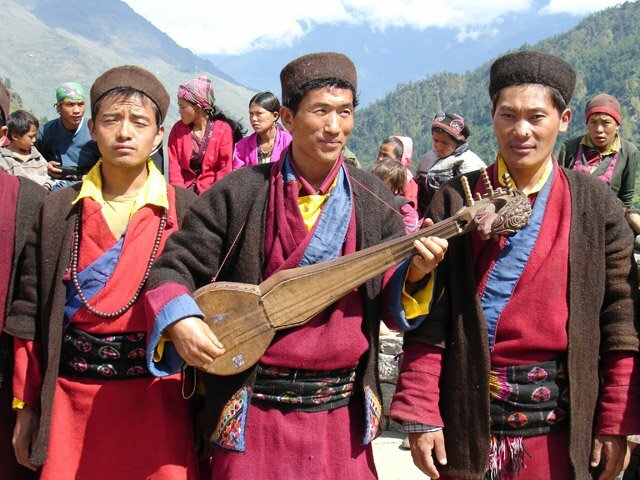 Experience the cultural Harmony of Tamang, Sherpa and Tibetans. 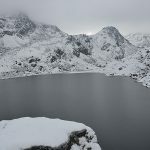 Langtang Gosaikunda trek gives you the chance to be at the famous pilgrimage site Gosaikunda lake .Along with this you can enjoy trekking adventure in the beautiful Langtang region. 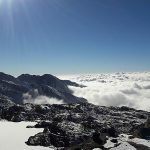 The close views of Langtang Himalayan ranges along the chance to explore local Tamang heritages are the main attractions of Langtang Gosaikunda trek. 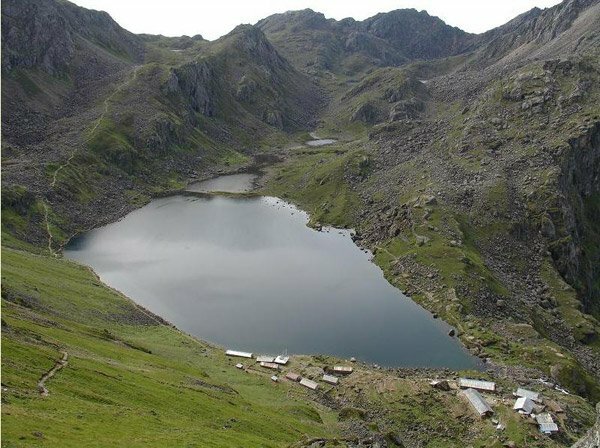 It is the high altitude lakes trek with great adventure. 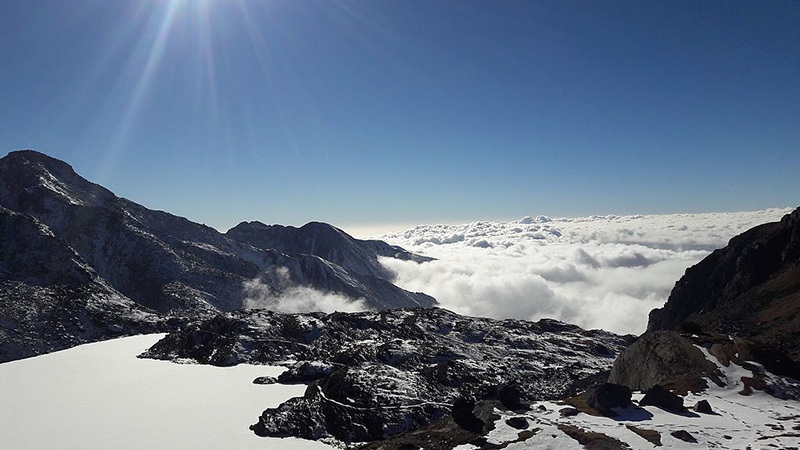 We will embark for our 12 days of Langtang Gosaikunda trek by receiving you at the first day. And we will trasfer you to the hotel where you can enjoy welcome dinner at the evening. Next day we move for sightseeing some of the world heritage site which are listed in UNESCO. Similarly ,on the third day we are taking 6 hours of drive from Kathmandu to Dhunche which includes passing through beautiful forests, gorges and landscapes. Next day we start trekking from Dhunche to Syabrubesi. There we will be climbing up hill which exhibits the clear and stunning views of Manaslu, Langtang Range, Dorje Lakpa, Ganesh Himal and Mt. Kerung. Further trekking ahead we arrive at Sing Gompa leaving Syabrubesi behind. After properly acclimatizing for the day we continue our journey to Gosaikunda lake. 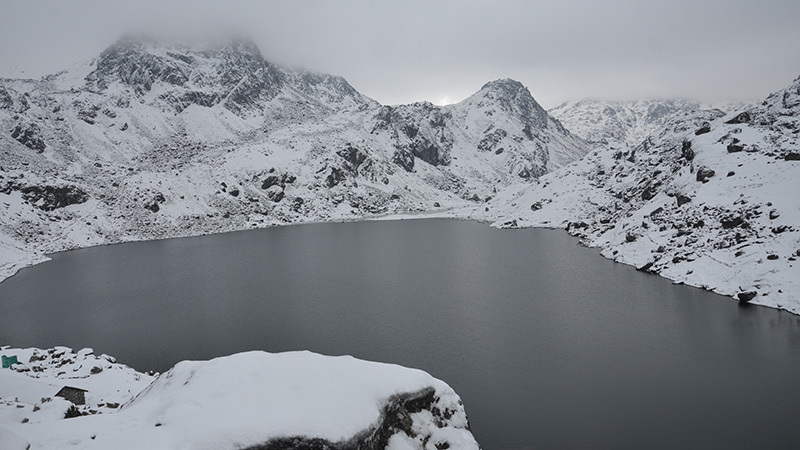 Gosaikunda lake ,Nepal is famous Hindu pilgrimage site in this region. Pilgrims from foreign countries visits specially on the full moon day festival. There is the great mythological story about Lord shiva about this lake. 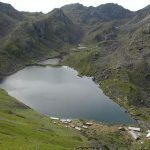 Gosaikunda also offers the sparkling views of other ponds nearby best viewed during sunrise. We will then follow the steep path towards Ghopte. 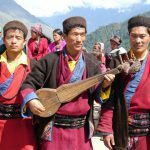 It is followed by Kutumsang and Pati bhanjyang through forests, terraced fields and small villages inhabited by Tamangs. Finally our Langtang Gosaikunda trek ends after trekking towards Sundarijal followed by drive back to Kathmandu. 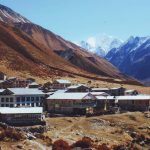 Hence ,Langtang Gosaikunda trek professionally organized by Euro Asia gives you a wonderful opportunity to visit and get insight to the famous pilgrimage site along stunning views of Himalayas. It requires good level of physical fitness to embark in for this trek as it involves trekking around high passes. If you have any inquires regarding any of our trips, contact us by mailing or call. We are just a call away. Kathmandu, Nepal’s capital city and home to its only international airport. Being the starting point for many hiking trails in the Himalaya, Kathmandu valley is a bowl-shaped valley morphed together with various ancient cities like Bhaktapur and Lalitpur. And if you try then you would always find something new and exciting taking place around every corner of the city. But having said that, we have to leave Kathmandu behind us and take a drive towards Dhunche today. Although, Dhunche is just 119 km away from Kathmandu, it can take us 7 to 9 hours to get there. That’s partly due to Nepal’s iconic traffic jams and road conditions. However, you will be able to enjoy some extraordinary sceneries and views along the way. 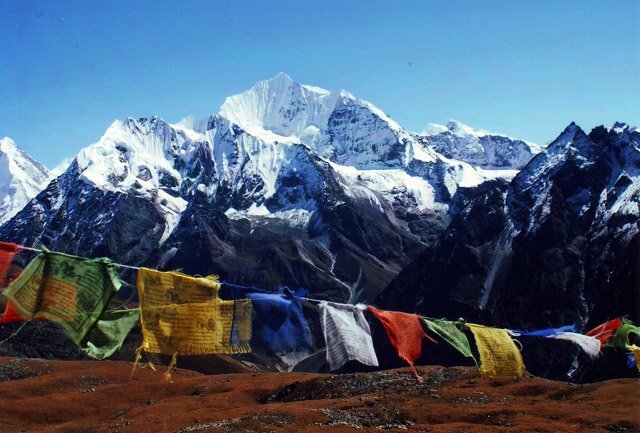 Upon reaching Dhunche, you can rest your bodies while enjoying some of the first glimpses of snowcapped mountains. Bursting up with joy and happiness, we are now going to make our way out of the bed and have our early morning breakfast. You can simply enjoy the fresh lively air of the Himalayas blowing down the valleys. And as soon as you finish your breakfast, your guide will then lead you on toward your next destination. Initially, the trail will be a mixture of dusty roads and small sidewalks. As we continue walking further, we reach Barkhu village and then make an uphill climb from there onward to Syabrubesi. Overall, the last leg of our trek will feature a dense forested trails and scenic views. Soon we reach Syabrubesi and then enter into our lodges for the night. In definition, Syabrubesi is charming village community which is located just up-valley from the series of hairpin turns. After relaxing ourselves with a rejuvenating good night sleep, we shall wake up in the eccentric village of Syabrubesi. Today we can have our breakfast while viewing the magnificent Himlayan massifs of Mt. Ganesh, Mt. Manaslu and Mt. Kerung. It roughly took us about 4 hours to reach Syabrubesi from Dhunche. However, today we will have to walk a bit shorter than that. Upon finishing our breakfast, we need to make a beeline in the north direction towards Sing Gompa village. While the first part of the trek is going to take us on a steep climb lasting over 2 hours through dense jungle areas, the latter part will have us walk on a flatter and easier trail for about an hour and a half. Lastly, we will then reach Sing Gompa. Stay overnight at Sing Gompa. 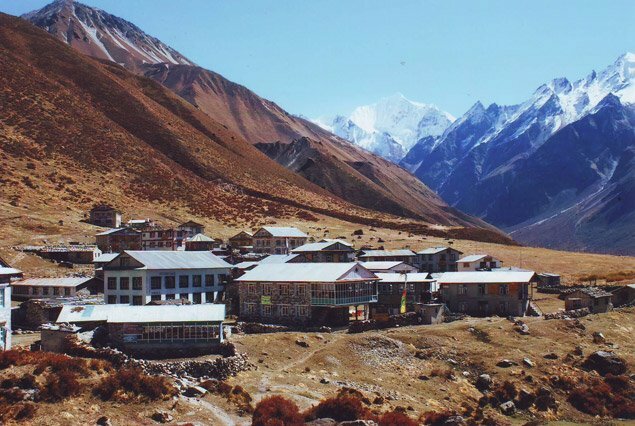 As scheduled, today we are to stay at Sing Gompa village for acclimatization purposes. Situated at a high altitude of 3,250 meters above sea level, Sing Gompa is a perfect place to help our bodies acclimatize and adjust to the environmental changes that may come after gaining such high elevations. 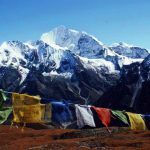 Due to change in weather, altitude and the rigorous exercise of walking in taxing terrains, a day is taken off the schedule for trekkers to rest and enjoy the sites around Sing Gompa. If you ever have done a trek in a high elevation, then you will clearly know the understand about acclimatizing. Therefore, we are now going to stroll the nearby areas and do some sightseeing around Sing Gompa for the rest of the day. Waking up to the shimmering views of Himalayan mountains, you will get to enjoy your breakfast before proceeding ahead to your next destination. Then, we have to carry our bags once again for another whole day of adventure and excitement. In the beginning, we have to gently travel through a southern slope while partially moving through scattered tree lines and shrubs. Later the path moves further up to Laure Binayak Pass which is about 4,610 meters above sea level. Hence, getting across it will be a challenge for all those who have never been up at these sorts of altitude. It will take us about 3 hours to get through the pass. Next, the overall route to Gosaikunda is not very long apart to the gain in elevation. So, do be careful while walking through these areas. After visiting and exploring the amazing pilgrimage site of Gosaikunda Lake, we now have to start descending down today. So, after finishing our breakfast & taking some final pictures of this remarkable place, we will leave Gosaikunda. The first leg of our journey will have us walk straight up to 4,900m from 4,600m. However, after going through the Laure Binayak Pass, our trail will in reality start descending downhill all the way to Ghopte. For some the steep trails can be hard but for some descending down can be a lot more grueling. However, as we traverse down, we will start getting some glimpses of grassy vegetation. Later on, we will have a much-needed rest at Phedi and eat our lunch there. After Phedi, we continue descending down to a stony pathway and eventually reach Ghopte after walking arduously for several hours. Upon reaching here, you will be able to breathe a lot easier as you have descended down to a more pleasing elevation. All in all, you will have to walk for about 5 hours today so you better be prepared for that. We don’t have to push ourselves much today since the trail becomes more flat and easier for us to continue walking. In addition to that, the altitude won’t bother you as well. Because we have descended way down to 2,470 meters already. And we will continue to descend further down. Furthermore, trekkers can even expect to see some incredible presence of wildlife along the way today. So, there’s some amount of chance that you might catch a glimpse of the rare Red Panda as well. We will soon reach Kutumsang after passing through Tharepati & Mangengoth village. After arriving at Kutumsang, you will be taken inside your rooms where you can lay down your exhausted bodies. Later enjoy the food and go to sleep! Today is also going to be an easy paced day with similar kind of terrains and landscapes. We recommend wearing some sort of sun lotion or sunscreen as it can get pretty sunny in the afternoon from this day onward. You will have to walk through some rocky uneven trails while speeding vehicles move past you. However, the entire day will be a combined adventure of uphill, downhill and flat terrains. During the day, you will evenly get accompanied by lush green vegetation and scenic views of Himalayas. Soon we will reach Tipling village and then enjoy our lunch there with some mo:mos and chowmein. After that, our trail will have us walk further down to Pati Bhanjyang. Stay overnight at Pati Bhanjyang. Continuing our way back to civilization or at least modern civilization, we will leave Pati Bhanjyang and descend further down to Sundarijal. But before that, we will have to reach Chisapani. The trail then continues inside a thriving lush jungle which falls under the Shivapuri Nagarjun National Park. Later after descending down for few hours, we shall reach Sundarijal. From Sundarijal, we will take a drive back to Kathmandu. 09 Days Trek as per program with English Speaking Sherpa Guide and Porter. Accommodation on normal lodges on full board basis. Trek permit and National Park entrance fees. Any Airfares & Airport Departure Taxes. Any Services not mentioned in cost include section.